We live in a time when up-to-date information is instantaneous, at the tips of our fingers via our cell phones at all times. As of 2011, 1.08 billion of the four billion mobile phones in use were smartphones. It seems like there are a million apps these days, and the same can be said about sports apps. But what separates the duds from those that are worthwhile? Which ones are the most up-to-date, have the most essential features or cover the games that you want to see? Stay on top of all the results you care about with one-tap access to your personalized set of scores. ScoreCenter brings you the fastest and most reliable game details such as plays, key stats, leaderboards, box scores and scoring summaries. You'll get score updates, news, stats, and so much more. 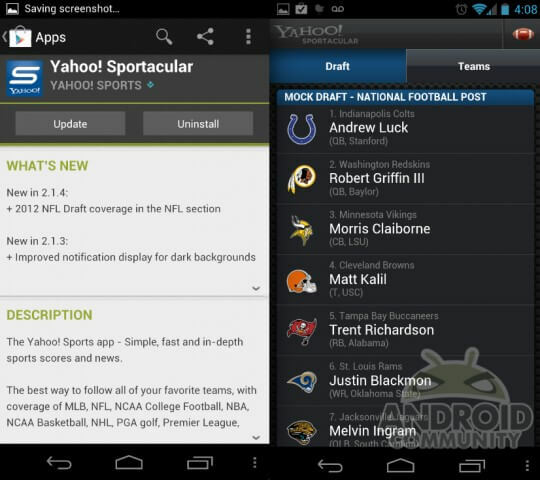 Every fan needs a good sports app to customiz to your teams and leagues. Pick your favorite leagues to get all the results in a quick, easy- to-read list. Baseball diehards can watch every game of the season with this award-winning service, though it'll cost you north of $100 per season. But, if you're a huge fan (even of a single team), it's an absolute must. This is an all-access virtual ticket to watch every game during the tournament. You’re able to customize channels to your viewing pleasure, test your knowledge in live trivia and check out how your bracket's shaping up. And, of course, live feeds of NCAA Tournament games when you’re at work or away from the TV. 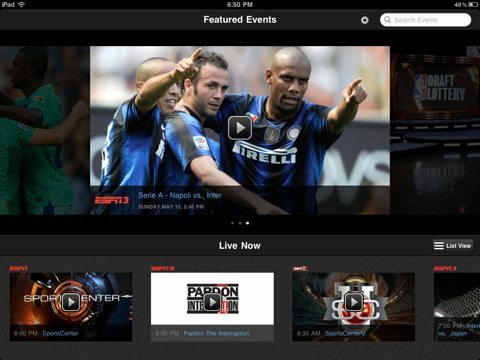 WatchESPN provides an easy way to keep you up to date with ESPN's complete programming calendar. You can easily filter between various sports, and the app provides 24-7 access to live streams of ESPN's complete network. The app also features top-rated ESPN shows such as SportsCenter, Pardon the Interruption, Mike & Mike in the Morning, SportsNation and more. 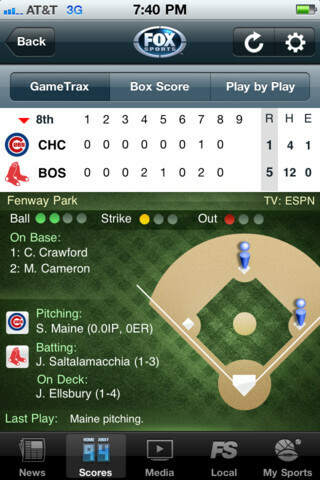 This app has live GameTrax so you can follow your favorite team or your favorite athletes. It has stats on individual athletes down to the college level. In the new version 2.5, the app added a UFC section, enhanced power rankings and a more easy-to-use customization button. 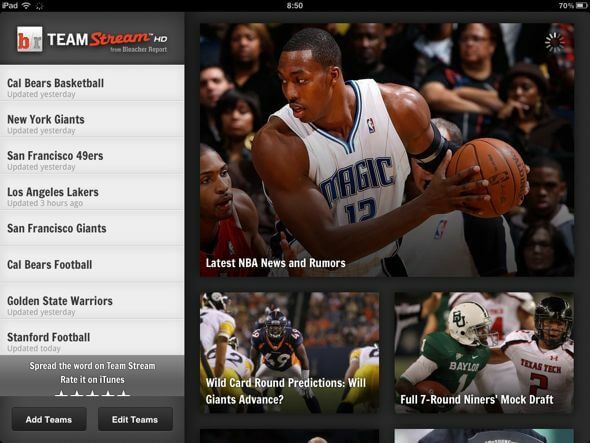 More than just the latest scores, Team Stream includes news and editorials, too. 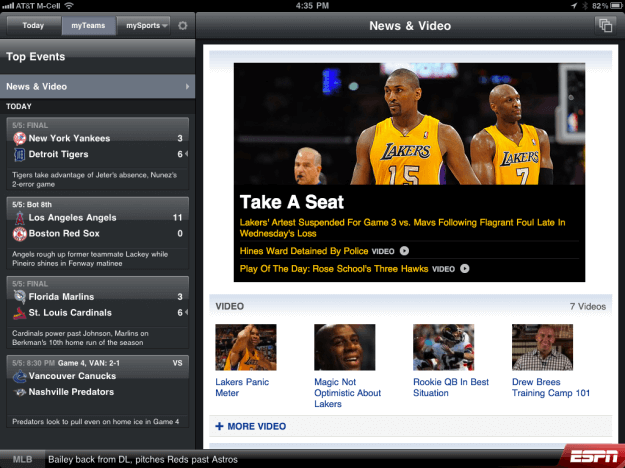 Coverage includes the NFL, NBA, NHL, ATP, PGA, MLB, NASCAR, NCAA athletics, international soccer, boxing, MMA and WWE. The Sports Illustrated app includes all the material found in the print magazine and on the website. It’s a very cool way for Sports Illustrated to deliver additional content to their subscribers. And yes, Kate Upton and the Swimsuit Issue are available. 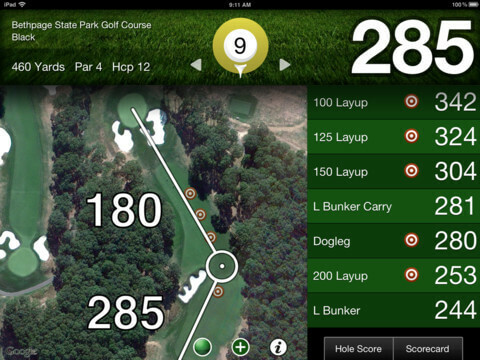 This not only works better than those expensive devices, but this GPS app also allows you to keep score with your friends, upload your scores to Facebook, track your analytics and improve your game all on an easy-to-use platform while on the course. This app provides live box scores from every NHL game, standings for division and conference, stats for every single team and player, league leaders for points, goals, assists, +/-, GAA, SV% and wins. 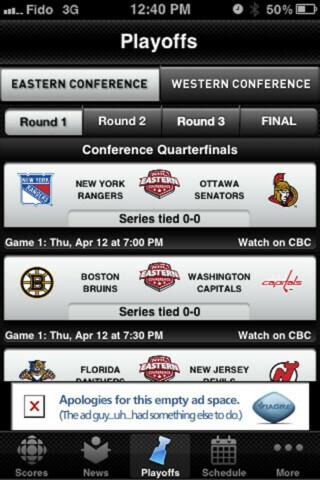 CBC Hockey also provides sports stories, features and the full NHL schedule including Hockey Night in Canada broadcasts and streaming info. 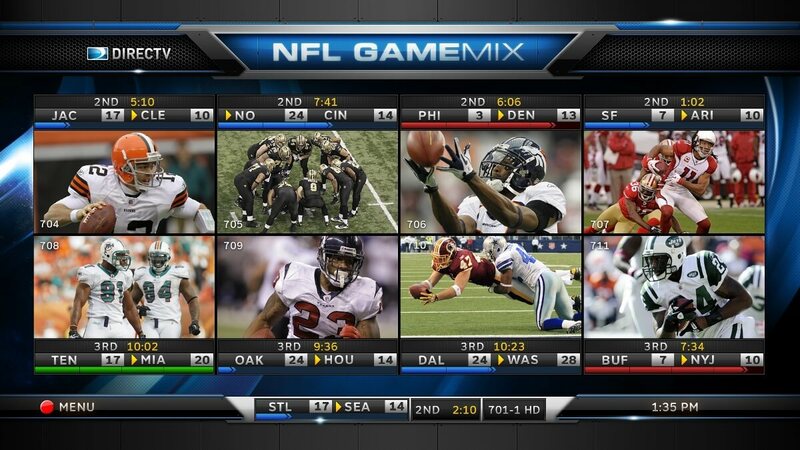 If you're a DIRECTV customer, you'll have an opportunity to watch NFL games anywhere you go. 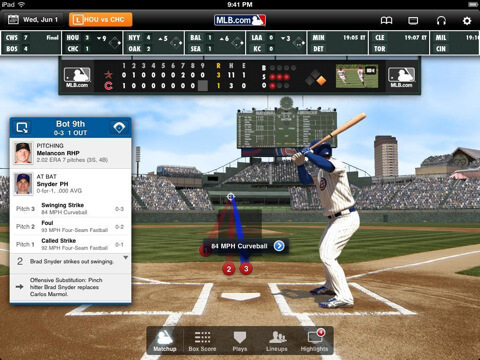 The app streams live games to your iPhone and iPad over Wi-Fi or 3G. You’ll be able to tune into every out-of-market game on Sundays, on the road or wherever. And now, the app allows you to integrate your love of the gridiron with Facebook and Twitter to talk smack with your friends.